This is the third consecutive year that Goodness Dental has been named the best dental clinic in Costa Rica. Goodness Dental employs the top-ranked dental specialists in Costa Rica. In 2019, Goodness Dental specialists received the top rankings in the following categories: Prosthodontists, Dental Implantologists, Periodontists, Maxillofacial Surgeons and Endodontists. Ranking Report: 2019 survey results reveal that Goodness Dental received the highest ranking in international patient care and service. Goodness Dental is recognized as the only clinic in Costa Rica to offer a verifiable lifetime guarantee on dental implants and a limited guarantee on crowns, bridges and other restorations. 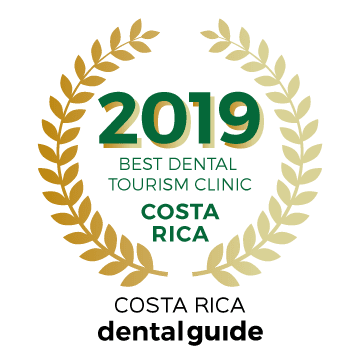 For our third year of the survey, we asked thousands of patients to share their impressions aabout their dental experiences and to choose the best dental tourism clinic in Costa Rica. With 729 respondents voting, Goodness Dental was selected with a total of 511 votes. Patients reported that they are looking for good value and affordable pricing. While Goodness Dental is not the least expensive clinic in our survey, patients responded that Goodness Dental offered the best value. Patients also shared that dental tourism can be scary at first. Most patients are hesitant about leaving home for dental care in another country. Overwhelmingly, respondents to this year’s survey commented that Goodness Dental had the highest quality facilities, the best quality specialists and the most reliable patient reviews and rankings. They also felt that Goodness Dental went above and beyond with patient hospitality and long-term patient relationships. These and many other qualities pushed Goodness Dental to become recognized by our guide as the Best Dental Tourism Clinic in Costa Rica. Many Costa Rica dental clinics have general dentists performing complex specialty care such as dental implants and full mouth restorations. Patients reported that at Goodness Dental, every procedure is performed by a licensed specialist. The level of confidence among patients treated at Goodness Dental was the highest in our 2019 survey. Patients reported that the international patient experience at Goodness Dental should be a model for other dental clinics. With a focus on personal attention and specialized care, Goodness Dental received the highest marks for patient satisfaction, patient confidence and overall patient experience. Patients were passionate in their support of Goodness Dental. While most clinics received satisfactory patient experience ratings, Goodness Dental received a perfect score for delivering a consistently excellent patient experience. Goodness Dental is Accredited and ranked as the #1 Dental Clinic in Costa Rica by Global Clinic Rating (GCR.org). The clinic is OSHA compliant and uses all ADA endorsed protocols. Less than 1% of all dental clinics in Costa Rica are accredited. This is a benchmark for patients to determine if their chosen clinic meets minimum international care standards. Costa Rica is recognized as a leading global destination for affordable, high quality dental care. There are more than 6000 licensed dentists in Costa Rica. Most clinics are staffed by general dentists, performing a wide variety of procedures. The highest-ranking clinics in our 2019 survey were staffed by specialists. Goodness Dental received high ratings for having all procedures performed by licensed specialists. No other dental clinic in Costa Rica reported more licensed specialists than Goodness Dental. Located in the upscale neighborhood of Escazu, near the capital city of San Jose, Goodness Dental was ranked as having the best location among all dental clinics in Costa Rica. The clinic has more than 3800 square feet of space, making it the largest dental tourism clinic in the country. The clinic has a spacious patient lounge with a free coffee bar, free WIFI, big screen televisions and free snacks and beverages for all patients and guests. The clinic is equipped with a complete radiology department with CT scanner, Panoramic x-rays and Cephalometric radiology equipment. Additionally, the clinic offers large treatment rooms with big screen televisions with access to Netflix and cable television. A recovery room allows patients to rest in comfort after sedation. Located close to several excellent restaurants, American brand hotels and international shops, our 2019 survey reveals that Goodness Dental has achieved the highest possible ratings for location and facilities. When traveling to another country for dental care, good communications is essential. Dental clinics that have English-language dentists and staff are preferred among American patients. Goodness Dental is staffed by English-speaking dentists and assistants. What was most impressive for patients was the Goodness Dental patient coordination and hospitality team. US dentist Dr. Peter Aborn, with more than 45 years of experience in the USA and Costa Rica, leads the patient coordination team. American expat, Sue Hallstrom, with more than twenty years of experience in Costa Rica, manages patient hospitality, helping patients with travel, accommodations, special tours and more. These dedicated patient coordination and hospitality coordinators add value to the patient experience that pushed Goodness Dental to the top of this year’s survey. When compared to US prices, dental care is very affordable in Costa Rica. In our 2019 survey, several clinics offered lower-priced care options than Goodness Dental. Most of these clinics do not provide English-language services for international patients. However, when patients were asked to report the overall value of their dental care purchase, patients rated Goodness Dental as the clinic offering the highest level of value. Patients reported that Goodness Dental pricing was 5% higher than other competitor clinics. However, patients also commented that the quality of care and the lifetime guarantee on dental implants gave them a high level of confidence in their purchase decision. On a scale of 1 to 5, Goodness Dental received a total rating of 4.85, ranking the highest of all clinics in our 2019 survey. We congratulate the management and staff at Goodness Dental for their third year as the best dental clinic in Costa Rica.